TTi’s TrailPro ATV Spray Trailer- Tough, Dependable, 20 Year Tank Warranty! Having problems on Spraying Large Garden Areas? TTi has the right product and solution for you, with special offers through TTi’s Spring-Up Deals 17′ valid until October 31, 2017. The TrailPro’s fully galvanised steel frame is designed to withstand the toughest conditions. Combined with the 20 Year Tank Warranty, formulated to withstand the effects of spraying chemicals, you will be able to enjoy a lifetime of use out of this sprayer. 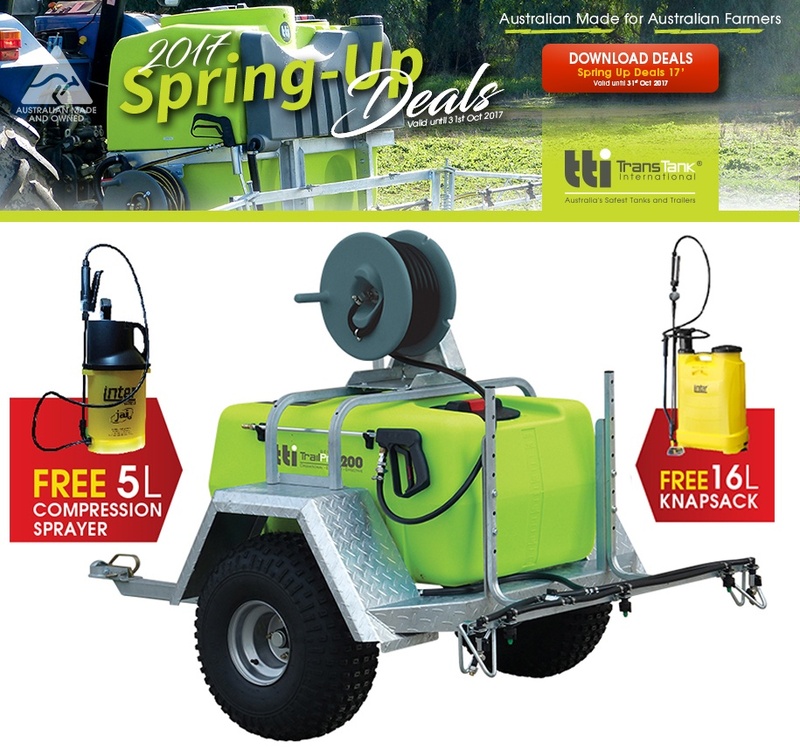 TTi’s Spring-Up Deals 2017 offer a free Inter 5L compression sprayer for every purchase of TrailPro 200L ATV Sprayer, and a Inter 16L Knapsack for TrailPro Deluxe 200L ATV Sprayer.